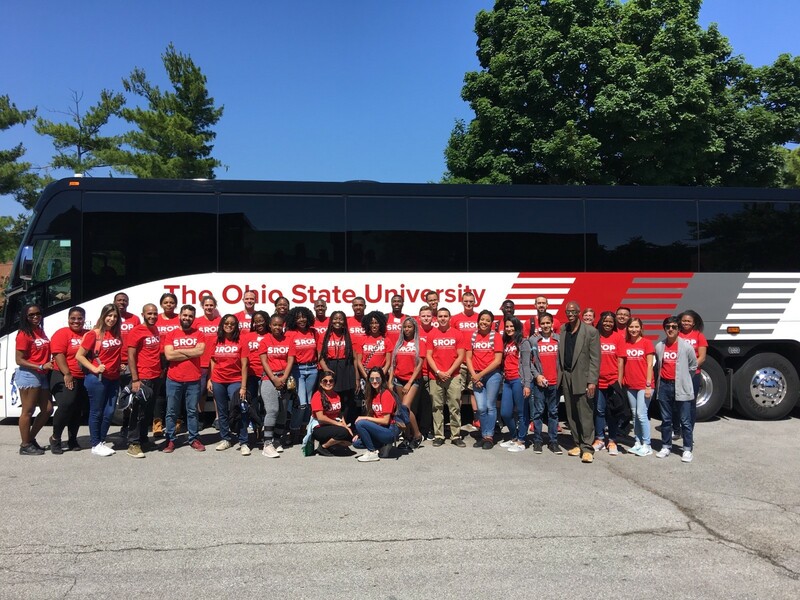 Undergraduate students in Ohio State’s Summer Research Opportunities Program gave their time and talent to help sort and prepare over 2700 pounds of food for 1755 needy families in the Westerville area. Westerville Area Resource Ministry (WARM) hosted this year’s annual day of service for the 38 SROP students on June 2, and the students helped WARM fulfill its mission of "Restoring Dignity and Hope by Offering a Hand Up, Not a Hand Out." "The SROP students volunteered with passion and love. They asked insightful questions about social justice and about WARM, and to paraphrase Martin Luther King, Jr., they are not silent about things that matter,” said Taylor Owens, director of volunteer services. “And, truly 'hunger matters." The annual day of service is a way for SROP students to give back to the central Ohio community and strengthen friendships. They also discover that successful undertakings, whether a research project or a service, share common attributes: a compelling vision, a solid plan, and strong effort from all involved. SROP is a signature program of the Graduate School at Ohio State. It’s singular purpose is to expose highly talented undergraduates from underrepresented populations to graduate study at the PhD level. These students come to Ohio State from colleges and universities around the country for the eight-week program, where they are matched with an Ohio State faculty mentor who oversees their intensive research experience.